Sometimes, braces alone aren't enough to move teeth into a better position, or to correct trouble with the bite or remedy problems in the growth of the jaws. In those situations, your orthodontist may recommend the use of special appliances. Orthodontic headgear is the general name for an appliance, worn partly outside the mouth, which creates just enough force to move the teeth properly and guide the growth of the face and jaws. 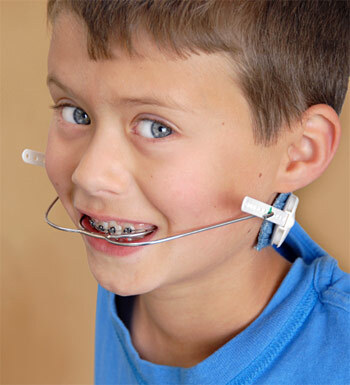 There are several different types of orthodontic headgear, each designed to work best in a specific situation. We will design a treatment program to address your individual needs, and select the most appropriate type of headgear; we will also instruct you on its use and care. It's important for you to follow instructions carefully so that, working together, we can achieve the best results from your treatment. It's normal to feel some discomfort as you get used to wearing orthodontic headgear. Fortunately, if you wear it faithfully, the discomfort generally goes away in a few days. Your orthodontist may recommend an over-the-counter pain reliever like Ibuprofen, and/or a soft diet, to help you adjust. 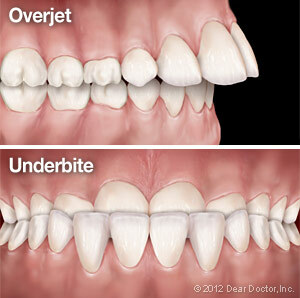 From time to time you may also experience some soreness when chewing, or even a little looseness in the first molars. This is normal, and it shows the appliance is working. However, if you have unusual pain, notice that the anchor band on your first molar (the one the headgear attaches to) has come loose, or find that the headgear suddenly seems not to fit correctly, it could signal a problem. In that case, contact us right away. To keep your orthodontic headgear working as it should — and to maintain your overall oral health — it's important that you follow our instructions about care and cleaning. It's also important that you learn to put headgear on and take it off properly and safely. Remember to bring it with you every time you have an appointment at our office — but leave it behind when you're playing sports, or even horsing around in the living room! Wearing orthodontic headgear may seem like a big adjustment — and nobody would deny that it takes some getting used to. But remember that you're part of a team, which includes our office, your general dentist... and you! When everyone works together, it's possible to achieve your goal: a beautiful smile that you'll have for your whole lifetime.